Its really easy once someone explains it! Post Spawn bass don't just disappear, they follow a very consistent pattern as they transition to Summer haunts. Today Matt walks us through each step as the fish shift from spawning to recuperating, and from traveling back to feeding. Post spawn is notoriously difficult because many anglers are unclear about how the fish move from April to June but its about to get a whole lot easier! We've already discussed "Where Bass Go In Spring", post spawn is the exact same story run in reverse, but with a twist. After the fish spawn they'll move to the first ledge or point along their transition route. Here they will sit for a week or two to recuperate before feeding again. This is often the time when anglers feel lost and begin to panic about where the fish have gone. As soon as this period ends, the fish make a split. Half of the bass follow the remainder of the route out to deep outside or offshore structures and the other half push back in to the shallows. The fish that turn shallow are the most fun because you're able to power fish them (flipping, punching, and frogging) but the fish that head offshore school up into mega schools and offer a whole different kind of excitement! It doesn't matter which direction you go, you're going to have a great time targeting either group of bass. Below is a breakdown of the baits and tackle we're using to target these fish throughout the transition process and beyond. Watch and learn as Tim breaks off a MONSTER bass then turns around and catches her again! Spring is prime time to catch these huge fish and Tim shows exactly how it can be done. He uses a combination of swimbaits and sight fishing to coax a bunch of really nice fish into biting including the 8+ lber. Its hard to keep your focus when a big one comes off but Tim shows first hand that keeping your cool can pay big dividends! Tim is on Clearlake for a day of big bass fishing. He's invited us along to take part as he searches high and low for the right fish. Pay close attention as he chooses different baits to catch the fish and also to the colors he decides to use. As he's explained in the past, no two bedfish are the same so its important to have a variety of baits at your disposal. Below is a breakdown of the baits and tackle Tim used in the video. Its not too late! You've got one more shot at MONSTER bass before Summer arrives. Matt explains what the bass are doing as they transition, how to get ahead of them, and the best presentations to catch them. Whether you're already fishing the post spawn in the South or your lakes are just opening up in the North, this information will help you catch a bigger bass this Spring! Catching a monster bass can happen at any time, but catching them consistently requires commitment. 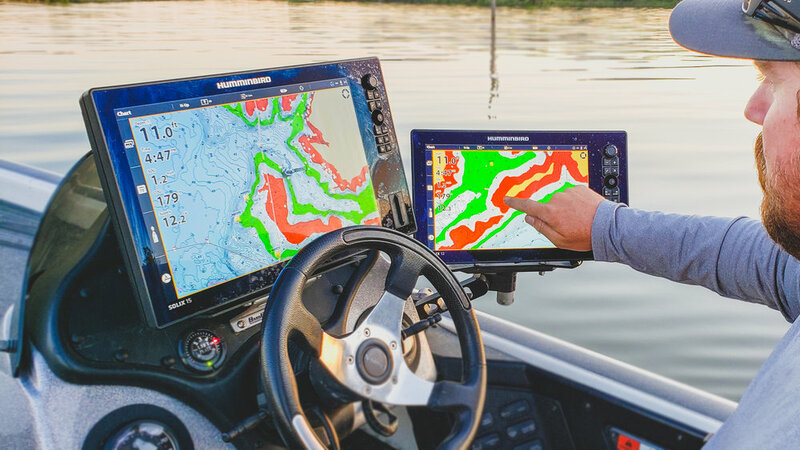 You have to start thinking differently when you're on the water, no longer focusing on "going fishing" and instead focusing on the fish's movements and feeding habits so you can predict their next move. If the bass in your area are still spawning, you have an awesome shot at a new Personal Best bass this Spring but if that door has already closed, all hope is not lost! Matt explains that after the fish spawn there is one more shot to specifically target the biggest fish. They'll move off to recuperate but as soon as they're done (typically no more than 2 weeks) they'll feed aggressively one more time before heading into Summer. These fish can be targeted with a swimbait on virtually any fishery. Its not the way to catch numbers of bass but if you're ready to break your PB, the biggest bass of your life could be waiting for you on your next trip to the lake. Below is a breakdown of the baits and tackle Matt recommends for this Style of Spring and post spawn fishing.